Long Point extends 40km into Lake Ontario. The inner bay formed between Long Point (along the top) and Turkey Point (in the foreground) freezes solidly enough most years to allow safe carriage of pedestrians and vehicles. The reports out recently show an ice depth of 12 to 16 inches depending on location. This makes for reliable ice fishing for lake perch and pike, if you can stand the cold. 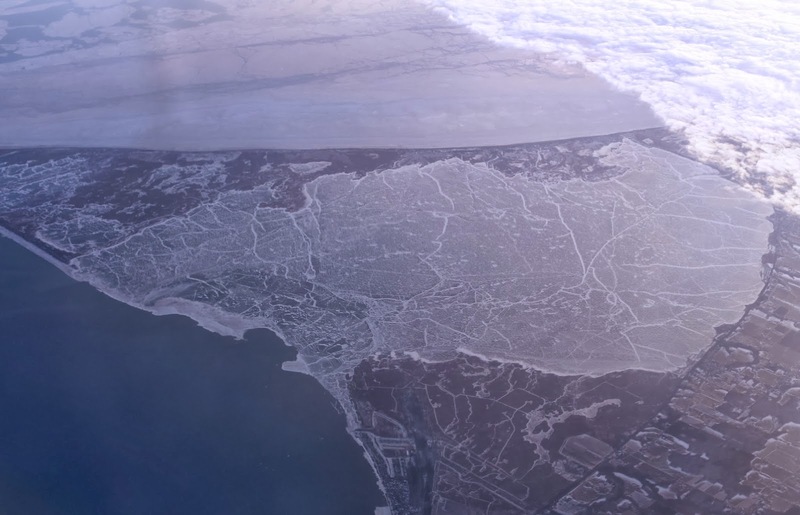 The seams visible from the air are pressure cracks, and occur on any large body of ice.